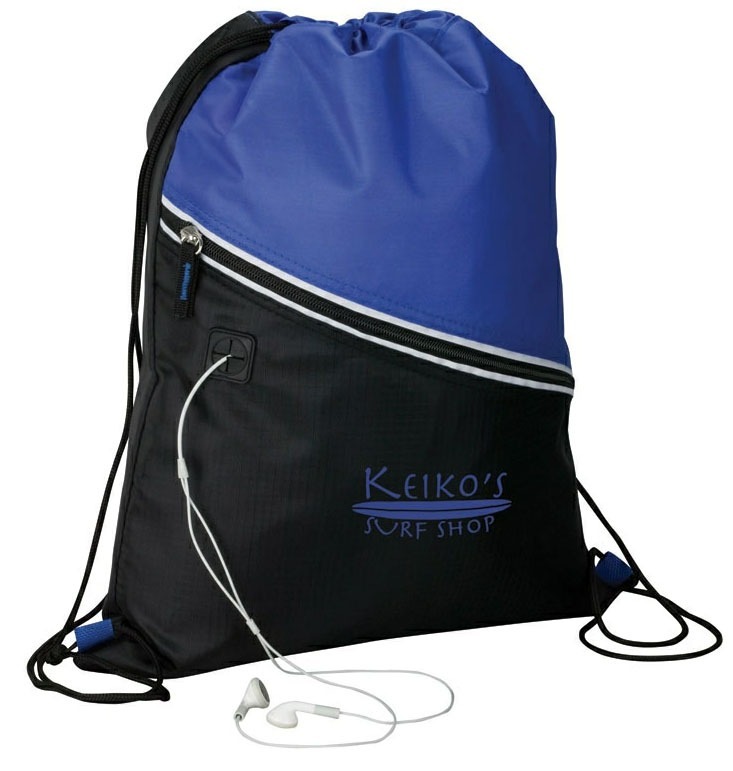 This drawstring PEVA insulated, watertight cooler bag can be conveniently carried. It features a zippered front pocket and media hole. Available in green, blue, red, and grey. Drawstring PEVA insulated water tight cooler bag with zippered front pocket and media hole.